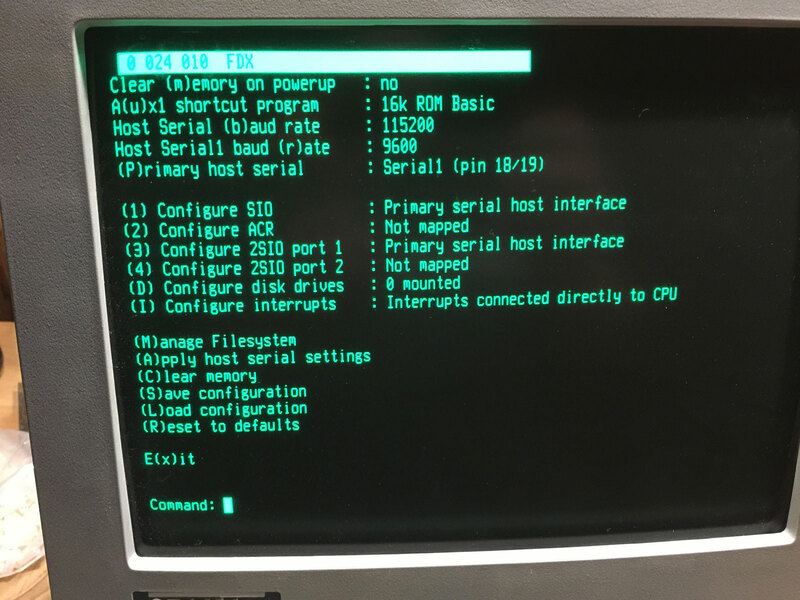 or a Dumb Terminal (or terminal emulator) if using the MAX3232 DB9 serial module. Connect the USB cable from the Altair to your computer. 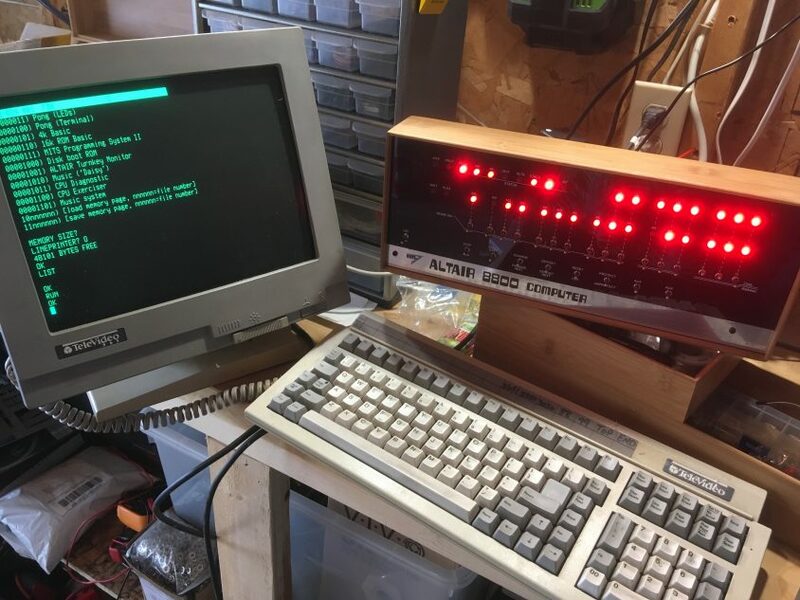 Launch PuTTY (or other terminal software) and connect to the Altair. Raise Stop and AUX1 on the Altair to enter Configuration mode. 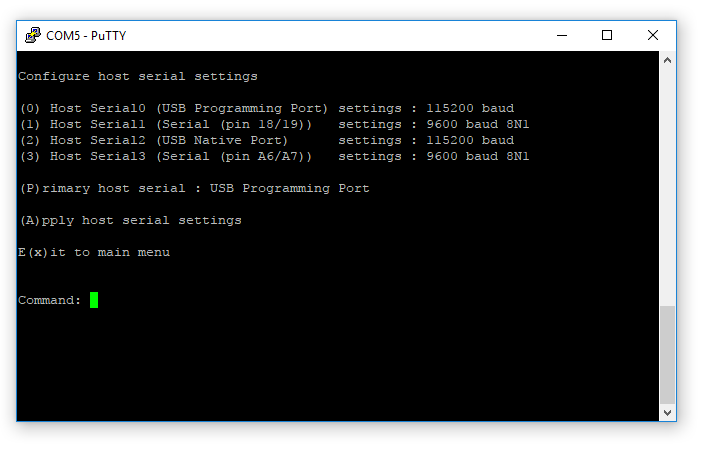 Enter “s” (make sure it’s lowercase) to open the serial port configuration menu. If using the HC-05 Bluetooth module, open a new PuTTY session connected to the Bluetooth serial port. 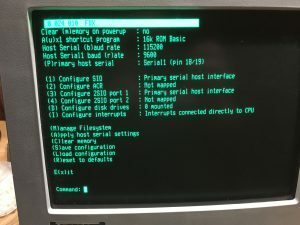 If using a MAX3232 serial port, connect your terminal to the port and set it to 9600-8-N-1. Enter “A” (uppercase) to apply settings. The Configuration menu will show up on the newly selected screen. In you want to keep the settings, enter “S” (uppercase) to save configuration. 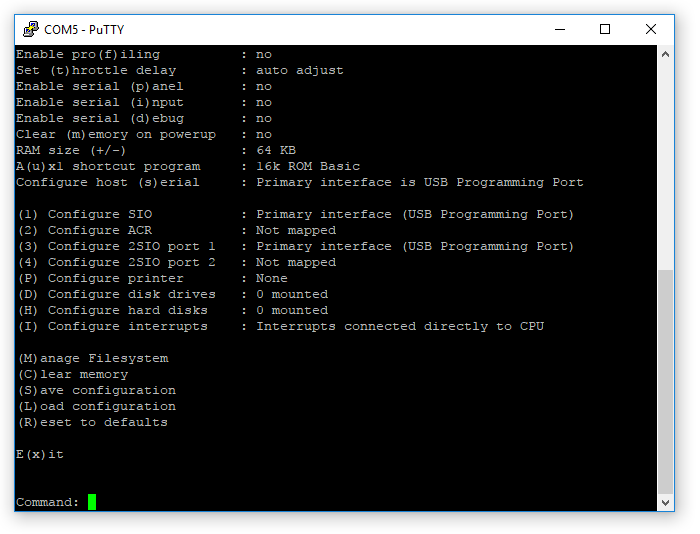 If you save the configuration as “0=default” this will be the default terminal when starting the Altair. If you select any other configuration number, you can either load the configuration from this config menu, or you can use the configuration at launch by setting the switches to the desired configuration (eg. “0011” for configuration 3), and hold the “Deposit” switch up while powering up. While the above process does work, I have found it much easier to simply save different configurations and load them at power-up as described in this post.